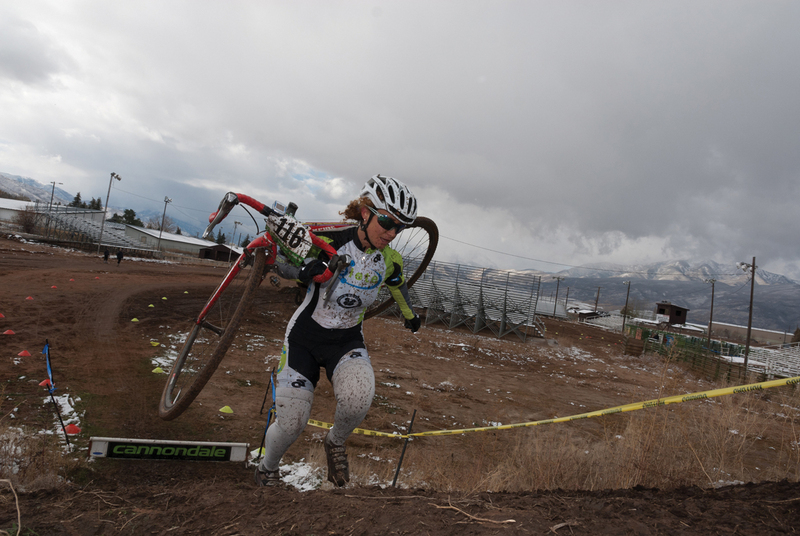 Sarah Kaufmann (Elete Nutrition) runs her bike during women's A racing at the Heber Fairgrounds. Kaufmann would finish 2nd behind Kelsy Bingham. Kaufmann finished the season a scant 2 points ahead of Kris Walker to win the women's A division. Photos: Chris See. Find more at fredmarx.photoshelter.com.